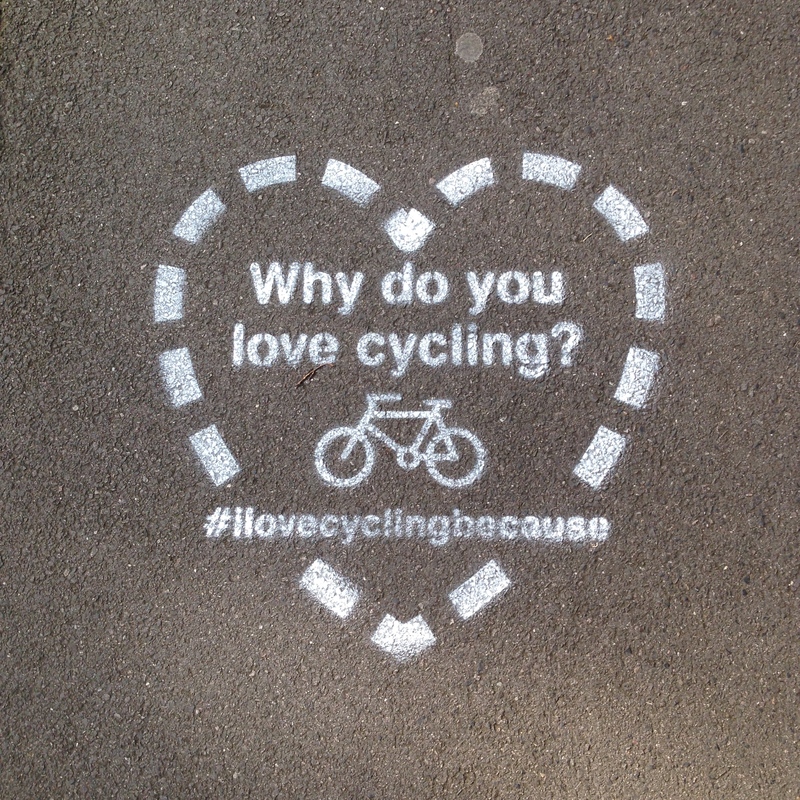 In the last couple of weeks, images with the hashtag #Ilovecyclingbecause have appeared on the pavements. The first time I spotted one, I was on my bike (on the road, not on the pavement!) Frustratingly, I passed by too quickly to read what it said. As soon as I went out for a walk, I kept my eyes peeled to try to find one and read it. 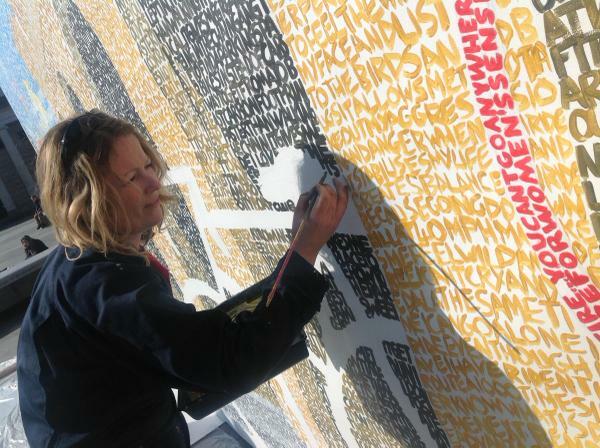 Over the next week, I saw various new stencilled designs appearing on the pavements and guessed that they were part of the “My Journey” campaign. 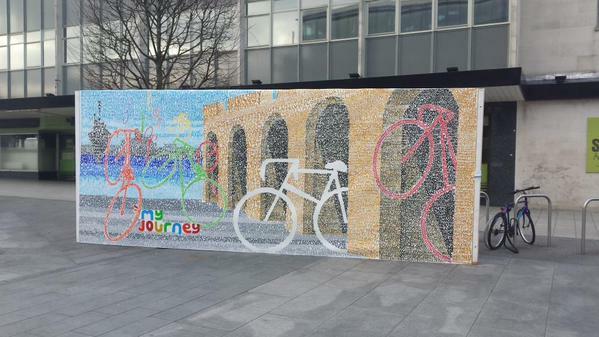 A quick google revealed that the images were part of a campaign to raise awareness of local travel options. As a keen cycle commuter, I’d love it if more people were to get on their bikes. 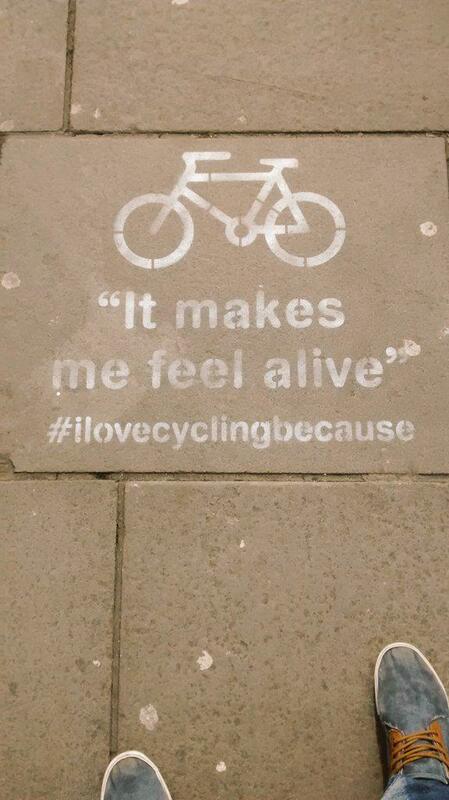 I hope that this would encourage people to put pressure on the council to improve the cycling infrastructure. The finished design looks great. 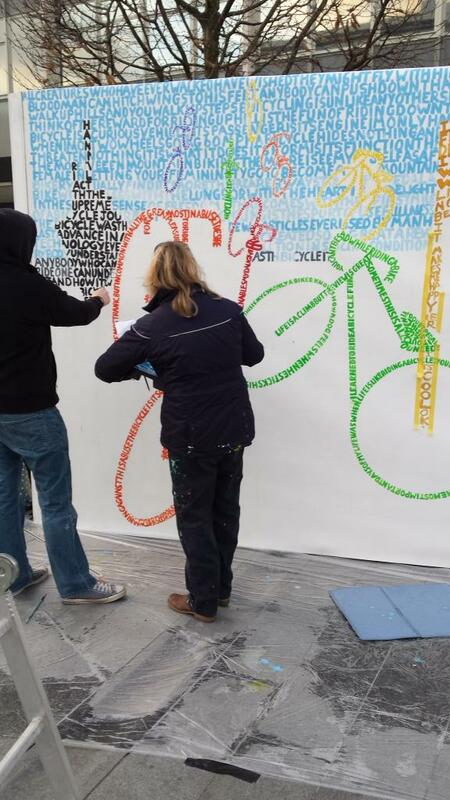 Read more in this news story: Mural lets Southampton bike rides show their love of cycling. 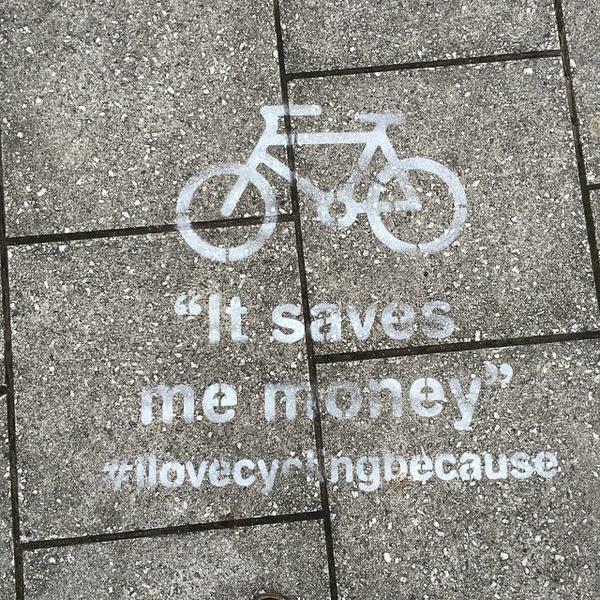 What’s the most interesting pro-cycling campaign you’ve seen?